Oh Joe, say it aint so! Fresh off his return to the living, Joe Biden proves why his mouth and foot are a match made in heaven. Nice work buddy. WASHINGTON — Vice President Joe Biden asked for God’s blessing for the late mother of Irish Prime Minister Brian Cowen during a White House celebration of St. Patrick’s Day — except the elderly lady is very much alive. 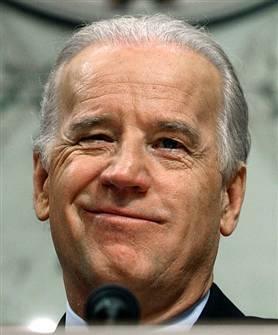 Biden then cited the Irish proverb that “a silent mouth is sweet to hear” and yielded the podium to the president. It's Settled. Obama Is The Best Liar Ever. Thank you to Gateway Pundit for digging up this gem of a video. It’s Settled. Obama Is The Best Liar Ever. Amazingly, Congress is trying to ram legislation through the Senate before Scott Brown is seated to benefit the American people. Thank you Congress. In a letter from his lawyers to Gov. Deval Patrick and Secretary of the Commonwealth William Galvin, Mr. Brown argues that the results of the special election in Massachusetts on Jan. 19 are not in doubt and he should be able to take the seat right away. 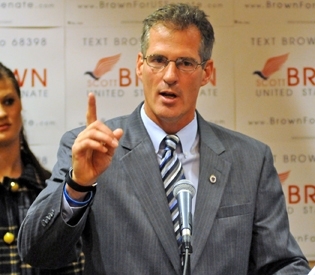 “We represent Senator-elect Scott Brown. We understand that the election returns from Massachusetts cities and towns were transmitted this morning to the State Secretary’s Office and by the State Secretary to the Governor’s Office. While Senator-elect Brown had tentyatively planned to be sworn into office February 11, he has been advised that there are a number of votes scheduled prior to that date, For that reason, he wants certification to occur immediately. As he is the duly elected United States Senator from the Commonwealth of Massachusetts, he is entitled to be seated now. “Accordingly, on behalf of Senator-elect Brown, we request that the results of the special election January 19, 2010, be certified without delay and that a duplicate be provided me in hand no later than 11:00 a.m. on Thursday, February 4, 2010, so we may deliver the original by hand to the Secretary of the United States Senate in time to allow Senator-elect Brown to be administered the oath of office by the Vice President tomorrow afternoon,” wrote lawyer Daniel B. Winslow. CHEERS! 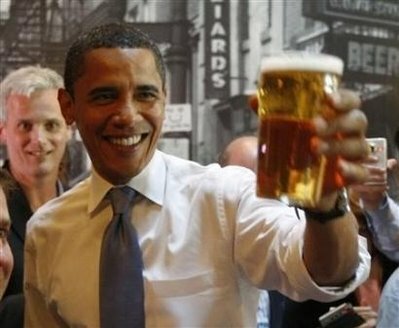 SOTU Drinking Game; If Only Obama Could Play Too!